This bag is made from strong cotton canvas fabric and fully lined and padded to protect your laptop .. This bag is made from strong cotton canvas fabric and fully lined. Perfect for books and documents, .. This bag is made from strong cotton canvas fabric and imitation leather. The comfortable shoulder st.. 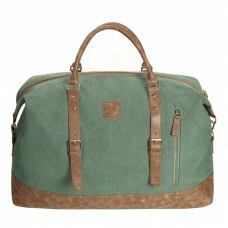 This spacious travel bag is made from strong cotton canvas fabric and imitation leather. An adjustab.. This bag is made from strong cotton canvas fabric and imitation leather. The adjustable shoulder str..